Attacks by what are suspected to be ELN guerrillas and rearmed members of the now-demobilized FARC were carried out throughout Colombia on this week. Seven members of the national army were injured on Thursday in the Cauca province when a patrol was attacked with explosives and bursts of rifle fire. The incident in the municipality of Buenos Aires, Cauca left the troops, who were transporting provisions for the rest of the army, in hospitals in the city of Cali. The attack came after a similar act of aggression was filed against the police station in the same municipality, according to Blu Radio. Colombia’s defense minister on Wednesday accused indigenous protesters of receiving support from rearmed FARC guerrillas, an accusation that was rejected by the group who asserted that their protests are peaceful. Guillermo Botero also claimed that the FARC’s rearmed 6th Front bombed the highway connecting Colombia and Ecuador, near where ongoing indigenous protests are taking place, so that they can transport cocaine to the coast. “It’s all related,” the minister said. Meanwhile, the country’s foreign ministry has also “vigorously” rejected an attack on Tuesday from the Venezuelan side of the border that left one member of the navy injured in the municipality of Arauca. “The Ministry of Foreign Affairs, on behalf of the national government, vigorously rejects the occurrence of these types of terrorist actions, from the territory of a neighboring country against the Colombian public force,” read a statement from the Foreign Ministry. 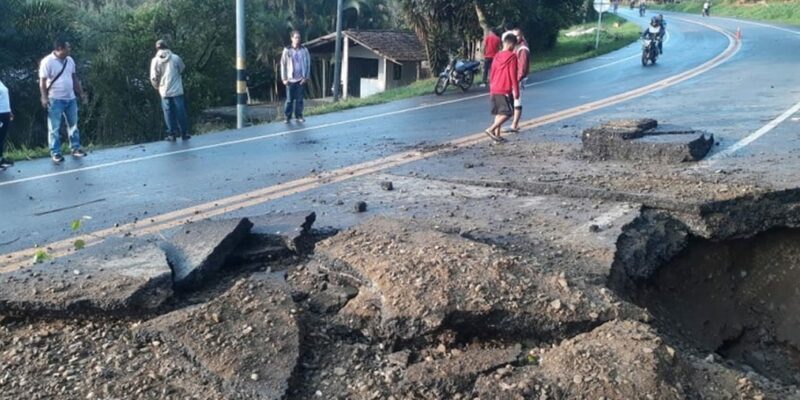 The National Navy who were at a mobile river support station in the province of Arauca were attacked with five improvised explosive devices and gun shots, reported Blu Radio. Authorities in the province of Norte de Santander on Thursday reported several more attacks in various municipalities including Tibu, Convencion, San Calixto, Abrego, Sardinata and Cucuta. Two soldiers were injured when one stepped on a landmine in San Calixto. Car bombs in Cucuta and Sardinata were deactivated by authorities. An armed attack along an illegal roadblock on the Abrego-Cucuta road is also said to have left one person dead and one injured, in an area where guerrilla groups ELN guerrillas and EPL are present. Authorities have also reported alleged intimidation of the local population in the area of Cucuta where pamphlets are said to have been circulated alluding to rearmed members of the FARC, according to Caracol Radio. As President Ivan Duque continues to neglect the implementation of a 2016 peace agreement with the FARC, the danger posed by dissident groups and rearming FARC members is becoming more and more of a threat. Many former FARC fighters have become disillusioned with the the lack of reintegration programs and opposition by the Duque administration to key aspects of the deal that were agreed with former president Juan Manuel Santos. According to think tank Fundacion Ideas para la Paz (FIP), 18 offshoot factions have formed from the demobilized rebel group throughout Colombia. Between 1200-1500 fighters of the 14,000 that demobilized in 2016 have retaken up arms, predominantly in central and south-western regions in Colombia, according to a 2018 report by the body. State authorities have frantically tried to quell dissidence and the rearmament of dissident FARC guerrillas to prevent a similar mass rearmament of demobilized combatants as occurred after former President Alvaro Uribe demobilized paramilitary group AUC.